Once again, immunity, err, I mean, winning spots are back up for grabs. You can see the submissions and vote as well, in the vote thread here - click me! Submission 1: A rather exotic shot. Flying birds and a huge pyramid is in the background, lush vegetation in the middle, and two boaters in the foreground. I like the setting – it’s calm and scenic, a nice break for the constant WAAARRR! Submission 2: A young boy stares forlornly into the distance as the sun shines down the centre of the screenshot. A nice wintry landscape with varying levels of vegetation dominates the middle-ground, with a small body of water visible as well. Serenity a big theme here. Submission 3: The spiderman pics are going strong, this time it’s him (or so I believe) in a different suit, with some very menacing…stuff hanging out from behind. What’s interesting about this picture is the angle from which it is taken, we don’t get many upward looking shots, which is a breath of fresh air. And it’s not like this shot was taken for the sake of its angle either, the towering buildings add some depth, along with some strategically placed lights. Submission 4: The tank pictures are going strong as well, now we have a main battle tank driving down a road full of armored vehicles. There is thick vegetation to the left and some houses to the right, complete with mountains in the extreme distance. The angle of the shot is just right, in my opinion, slightly elevated and to the side of the tank, so we see most of its sides as well as the surrounding area. Submission 5: A very menacing photo here, it doesn’t get any more worrisome than having a sith in your face and with his lightsabre drawn. Editing of the photo has made the background darker and the red lighting more visible, which goes along very nicely with the Sith theme. Submission 6: What did I say about the tank pictures? This time the tank is in combat, kicking up clouds of dust and in the process of aiming at an enemy vehicle. Again, a heavily forested area can be seen in the background and to the side. Submission 8: The first of the Dead Space series, back then I didn’t have the guts to play through the whole thing, and I still haven’t picked it up yet A very bright light is shining in the character’s face, and some fumes are coming out from what appears to be a tram. It’s a very bleak photo, mainly consisting of many shades of dark colors (trust me, I was tempted to say grey here ). You can see the submissions and vote as well, in the vote thread here - click me! Submission 1: A high aerial shot of an ancient city surrounded by walls. Lots of tall imposing structures in the city, and I do believe those are regiments of troops down there. It’s illuminated very brightly, to the point where the (relative) northern part of the city is covered by the light. 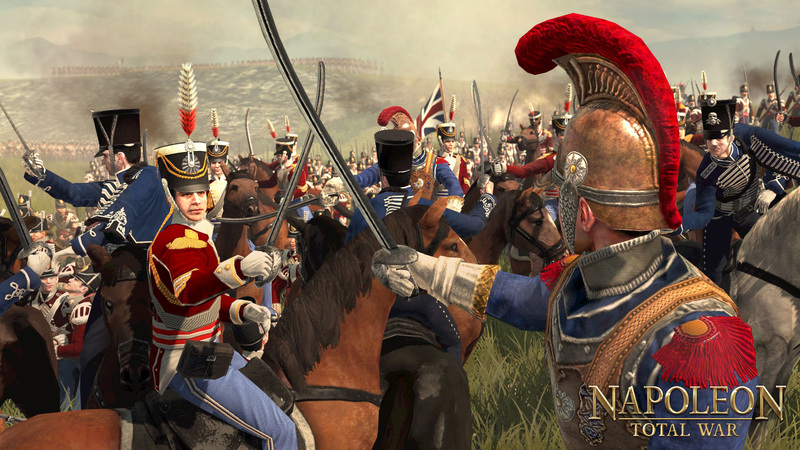 Submission 2: This shot reminds me of the Napoleon Total War wallpaper here (external link). The resemblance is uncanny, and it is a great shot, so kudos to the screenshot artist for that. Brilliant photo which encapsulates the split-second moment of sizing up your opponent in the heat of combat. Submission 3: Marching roman soldiers in formation looking straight ahead and seemingly unfazed by whatever is going to happen next (if anything is even going to happen). Taken at an angle where all the shields are visible, which is always a good thing considering the design of the shields. Submission 4: This is a shot that looks like it came out of a movie. This photo was taken at a really good angle - aside from the soldier closest to us raising his shield against the incoming torrent of arrows, it also lets us see what happens when you don’t protect yourself adequately. Another soldier with blood on his armor is crawling on the ground, seemingly in his death throes. In front of them, arrows stuck in the sand from a previous volley really show the intensity of the conflict. Submission 5: Here we have…oh, not so fast. Submission 6: Mounted cavalrymen on partially armoured horses prepare for their charge in a grassy field. The picture is bright and the sunlight is glinting off the armor of the mounted troops, which projects a sort of hopeful vibe. Soldiers grasping their weapons tightly, long spears ready to impale their unfortunate adversaries - another good cavalry picture. Submission 7: This is a very dramatic shot. Soldiers in the distance are charging towards our direction, brandishing what looks like bows. In fact I’m fairly certain they just fired off a volley that’s soaring straight towards the direction the screenshot was taken from. There is a very nice balance of troops – I see infantry and cavalry as well. And let’s not forget the blazing bright phoenix flying across the picture, which adds some good contrast in color and even more action, which is always nice for a war scene. The above list comprises of people who usually do not submit for the competitions but still drop by and vote (in recent times), and these are just some of the names I've noticed. I'm pretty sure I might have missed some though, and if so I am sorry about that, you can always PM me and I'll add your name in a future edition if you want. I don't praise people who submit because they are my bitter rivals and deserve to . I'm only kidding, it's a privilege and a pleasure to be able to compete with y'all. And that's all for this week, have a good one ahead!